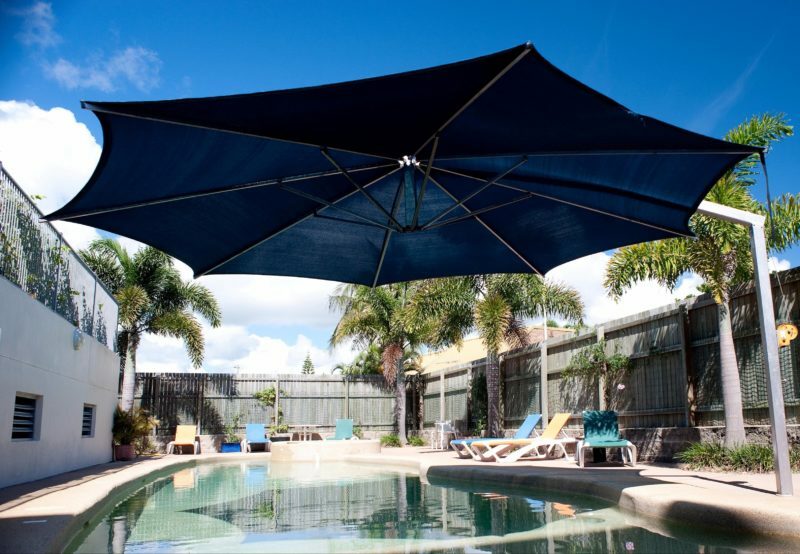 The magnificent facilities set within landscaped tropical gardens include a resort pool with sloped wading area, spa, barbecue area, mini putt-putt golf course and free wi-fi and free secure car parking. 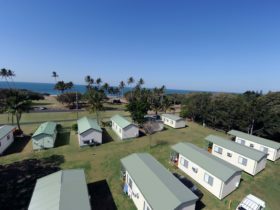 Bargara Beach is located on the Coral Coast at the southern tip of the Great Barrier Reef and offers extensive local amenities including an 18 hole championship golf course and the landscaped foreshore offering shaded seating and barbecues. 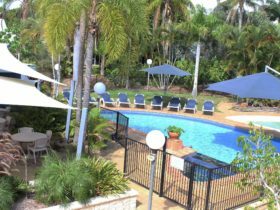 The township of Bargara offers many restaurants, cafes and a large Bistro and Hotel complex with alfresco dining. 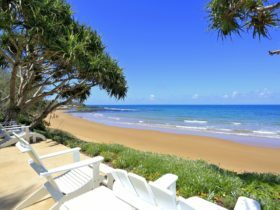 A short drive is the world famous Mon Repos Turtle Rookery where turtles come every year to lay thousands of eggs on the protected coastline. 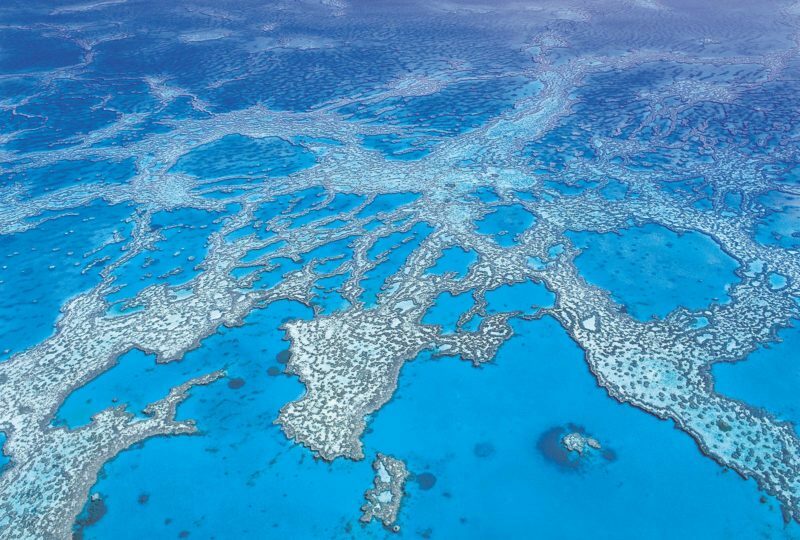 The reefs off Bargara Beach on the southern fringe of the Great Barrier Reef are rated in Australia’s top ten shore diving sites and provide endless opportunities for snorkelling and diving enthusiasts. 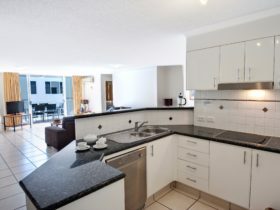 Executive style Two Bedroom fully self-contained apartment. 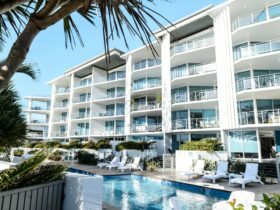 The apartments are on the top floor of the resort and feature open-plan living, dining and kitchen area which includes a stove top, oven, microwave, dishwasher, refrigerator and balcony with guaranteed ocean views. Free wi-fi access (download limits apply). Bedding is one king and one queen or one king and two singles. Subject to availability. 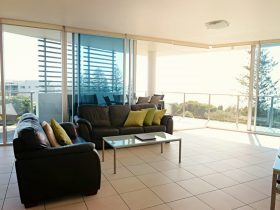 Spacious and modern one bedroom fully self-contained apartment with sunset facing views. 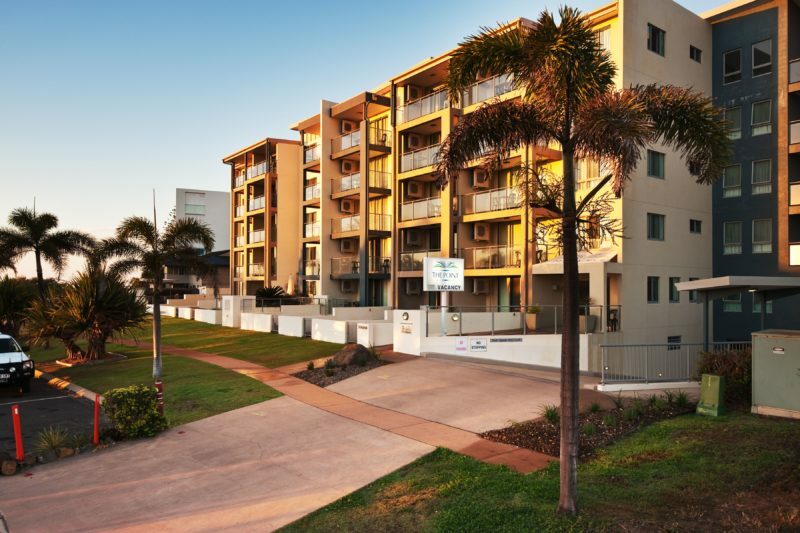 The apartments feature air-conditioning, open-plan living, dining and kitchen area which includes a stove top, oven, microwave, dishwasher, bar size refrigerator, balcony and free wi-fi access (download limits apply). Spacious and modern two bedroom fully self-contained apartment with en suite off the main bedroom with corner spa bath and second bathroom. The apartments feature air-conditioning, open-plan living, dining and kitchen area which includes a stove top, oven, microwave, dishwasher, refrigerator and balcony with guaranteed ocean views. Free wi-fi access (download limits apply). Bedding is either one king and one queen or one king and two singles. Spacious and modern Three Bedroom fully self-contained apartment with en suite off the main with corner spa bath and second bathroom. 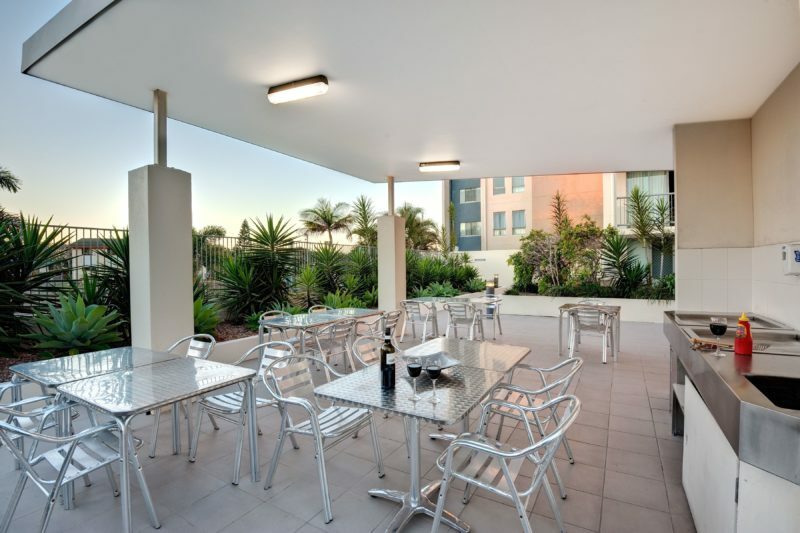 The apartments feature air-conditioning, open-plan living, dining and kitchen area which includes a stove top, oven, microwave, dishwasher, refrigerator and large balcony with water views. Free wi-fi access (download limits apply). Bedding is either one king and four singles or one king and two queens or one king, one queen and two singles, subject to availability.